Disinfect your workspace and tools in front of patients or clients, a move that will prove worth it by reassuring them of the area's sanitation. A real, effective molecular-level antibacterial, fungicidal and virucidal disinfectant for both surfaces and instruments, available in 500mL and 1litre. 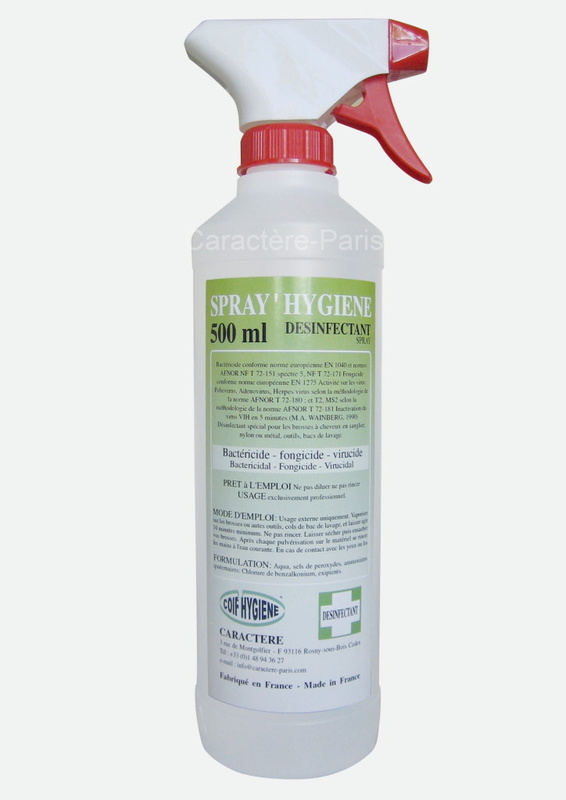 For the cleaning and disinfection of medical instruments, objects and surfaces. Solution of peroxide salts, Benzakonium chloride and excipients. Ready to use spray, not recommended for dilution. Once sprayed on surfaces or tools after other normal cleaning staps, it will gaurantee their disinfection. Let work fifteen minutes. Bactericidal according to the European standards EN 1040 and NF T 72-151 standard afno spectrum 5, NF T 72-171 NF T 72-190. Effective on multidrug-resistant Staphylococcus aureus. Fungicidam according to the EN1275 European standard, effective on Candida albicans.